Have you ever visited Piedmont? Do you know the Monferrato area? Piedmont is a wonderful region in Italy. I’m not saying this just because I live here. All the people who have visited this region have been pleasantly surprised! In Piedmont, you can find plains, hills and mountains. I know, if we also had the sea, the picture would be complete. But to compensate for it, we have the best wines in the whole world. 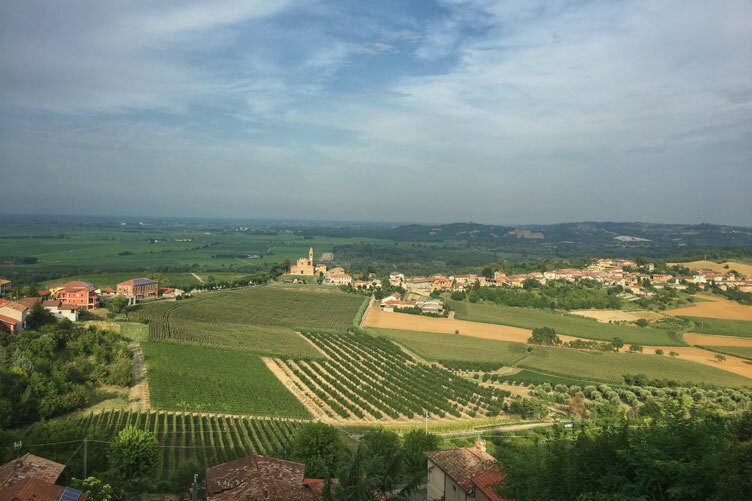 Recently, I took part in a press trip with other bloggers and journalists to discover the “unknown” Monferrato. It’s the right destination for all the wine, food, wellness and relaxation lovers. And also a welcome break from writing another tutorial which is very important! Now let me tell you more about my press trip. On 12th of July, we started from Milan. Destination, Monferrato! Do you know that the Monferrato region is a UNESCO World Heritage Site? Yeah, it has been on since 2014 which is a fascinating fact. Monferrato is close to the Langhe, with the famous denominations of Barolo and Barbaresco wines. If you’re interested in the Italian denominations, keep an eye here because I’m planning to publish a map of Italy in the upcoming weeks with all of them. I also suggest you subscribe the newsletter so you don’t miss any of the news. Monferrato covers a surface of 1.800 m2 (0,18 ha). In addition to the wine, there is another typical product in Monferrato, the white truffle. But let’s not digress and go back to the press trip now. The first stop of our tour is the Coppo winery, located in Canelli. It’s one of the four Underground Cathedrals and a UNESCO World Heritage Site. The other three are Gancia, Bosca and Contratto. 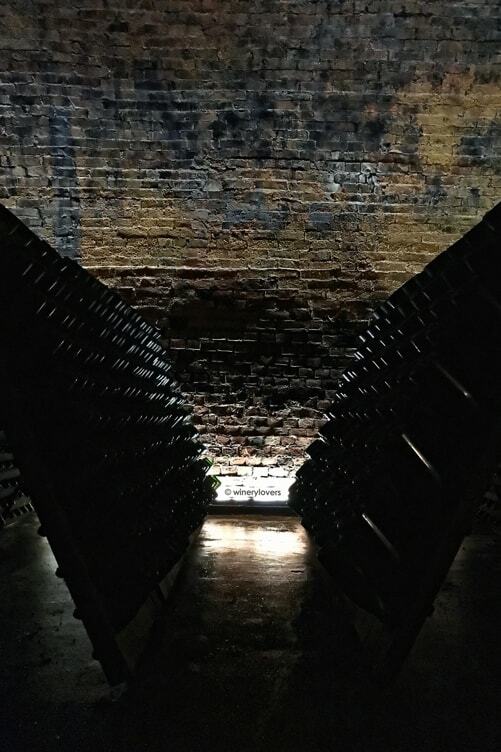 The cellar of Coppo was built around the late 18th century, initially as a small cellar to conserve wine. Then, it was expanded between 1800-1900. It covers a surface of 5.000 m2 (53.820 ft2) and it reaches a depth of 40 m (131 ft), all under the hill. The various tunnels were all dug manually using picks. Yeah, you read that right. By using picks! This was made possible because the hill of Canelli is entirely composed of calcareous tuff rock. It is similar to what you can find in the Champagne region (France), with the gypsum. The calcareous tuff rock creates the perfect natural conditions for storing the wines, guaranteeing a constant temperature between 12° and 14° C (54° and 57° F). When you visit the winery for the first time, you don’t realize that you are 40 m (131 ft) under the hill. This is because the new section of the winery is near the street and you get very quickly, a distance of only around 10 m (33 ft), under the hill in the old part. It’s very intriguing! You should to visit it and let me know your impressions! Coppo has 52 ha of vineyards (owned, rented or leased). There is a great respect for the nature in the way agriculture is developed here. Even though Coppo is not certified, it applies some techniques of the organic and biodynamic farm. We took a tour of the winery guided by Luigi Coppo, the 4th generation of the family. We saw both the old and the new part of the cellar. Its production is based mainly on the wines from the Barbera grape, but there are also Chardonnay, Muscat and the sparkling wines (traditional method). 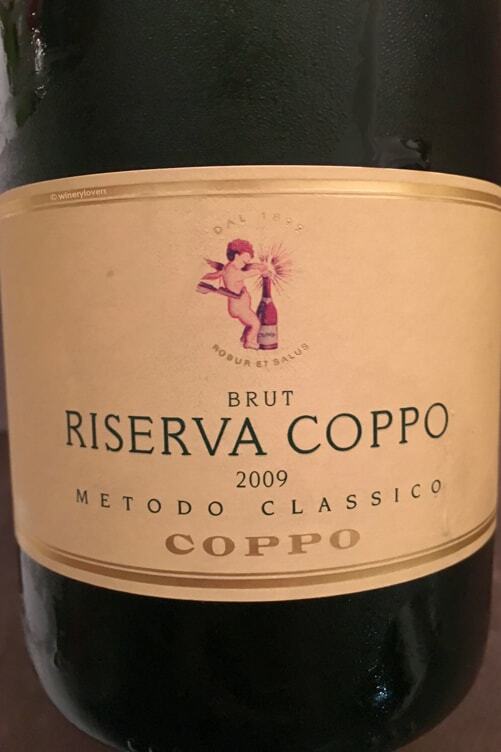 At the end of the tour, we had the opportunity to taste the Brut Riserva Coppo 2009 and the Pomorosso DOCG 2014. It’s a blend of Pinot Noir (80%) and Chardonnay (20%). The ageing is 9 months on fine lees in French oak barrels with several batonnages and 60 months on lees in the bottle. Malolactic fermentation is partially carried out. The color is pale yellow with greenish highlights. This wine has a fine perlage. On the nose, there are aromas of bread crust, yeast, flowers and a hint of honey. It’s a dry and elegant wine, perfect with sea food but also grilled meats. 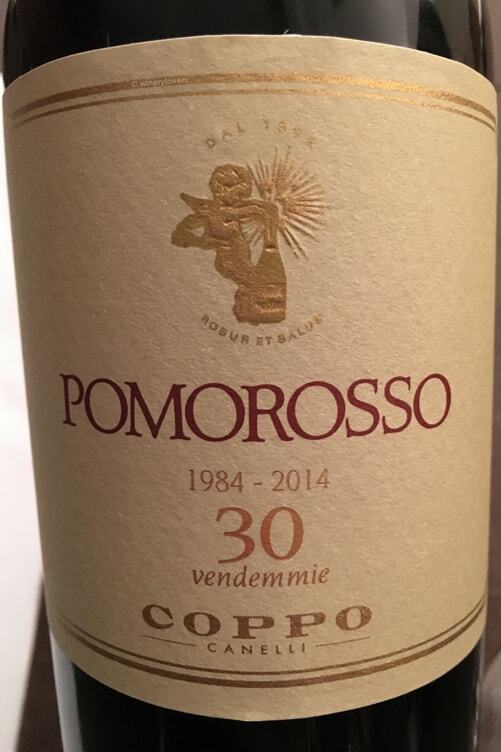 This wine is produced completely from Barbera grapes. The ageing is 14 months in French oak barrels. Malolactic fermentation is totally carried out. The color is intense ruby red with some garnet highlights. When you smell it, you can recognize red fruit such as cherry and blackberry, notes of violet and spices. Initially, it’s delicate but on the finish, it gets out all its complexity with a pleasant length. The wine is well structured, rounded, with elegant tannins. It is best paired with roasts and braised meats, as well as aged cheeses. By the time we finish the visit to the Coppo winery, it’s midday, then lunch time. Our next destination was Relais Rocca Civalieri which is around 30 km (19 mi) from the wine cellar. The relais is located close to the hamlet of Quattordio, in the middle of the wonderful viticultural landscapes. If you are searching for peace and relaxation, this is the right location! Hosted by Andrea and Marco Casalegno, we took a small tour of the location before the lunch. 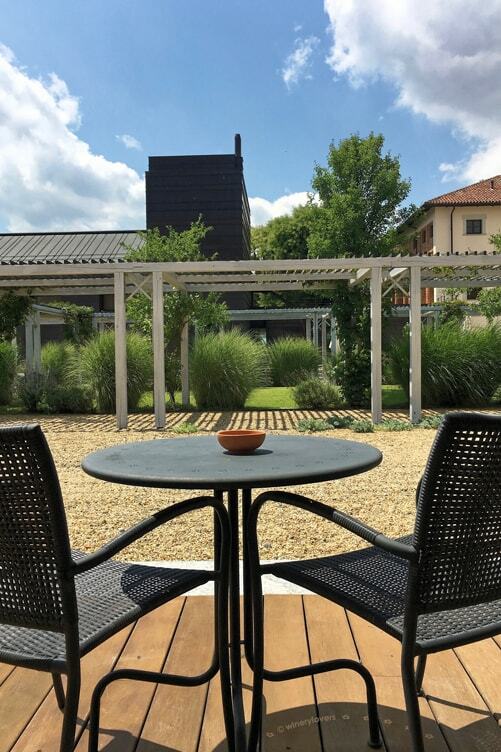 Relais Rocca Civalieri, 4 stars, has 29 rooms (from executive to suite, which is a very interesting choice). It was launched in 2009, after restoration works were carried out. The place is a mixture between modern and old parts. In the past, the relais was a military fortress. It had a strategical position for the defense of the territory and the Tanaro river. But it’s time to eat and we took our lunch at the Restaurant Corte dei Civalieri. The menu aims to promote the region, so you can find locally grown fruit and vegetable, Piedmontese meats and other typical foods. An important thing for all the wine lovers is that there is a small wine cellar in the relais, in which you can find some interesting wines. 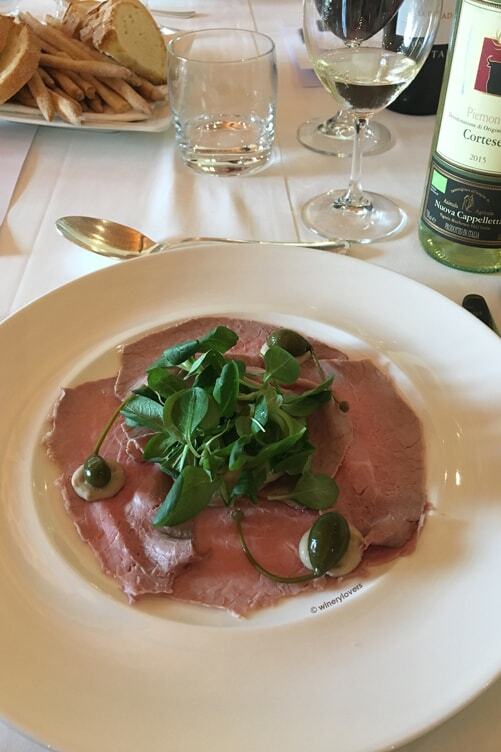 During the delicious lunch, we tasted Cortese Piemonte DOC 2015 of Nuova Cappelletta and Ruchè di Castagnole Monferrato La Tradizione DOCG 2015 of Montalbera. We also had the opportunity to try the swimming pool and wellness area before we continued with the press trip, with a pleasant massage at the end. With regard to the sports activities, there is a tennis court on the property. Talking with Andrea and Marco I found out that they organize different tours for their guests. Three different types: wine, outdoor and culture. These itineraries look very interesting and I want to try them next time I’ll stay in Relais Rocca Civalieri. I suggest you contact the relais directly to get more information about it. Our press trip finished at the Mazzetti d’Altavilla distillery. I’m not an expert on the grappa. I studied it during the AIS sommelier course. But Claudio Galletto, our guide, made the tour very interesting, giving us a lot of information about the grappa. Do you like this spirit? Let me know by leaving a comment. 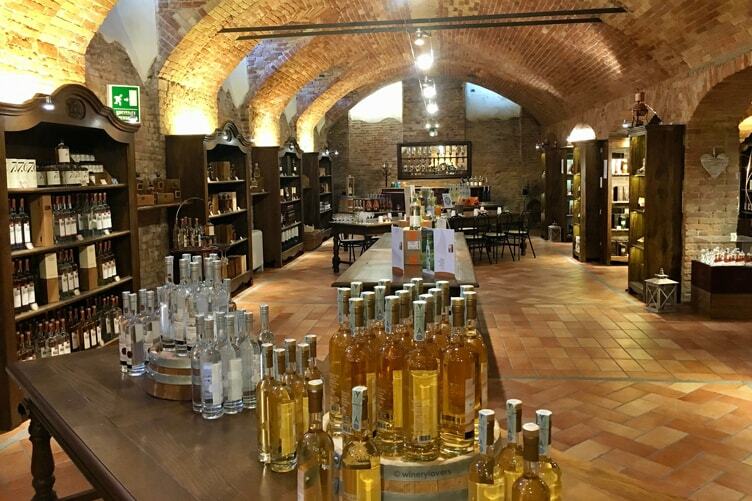 Back to the trip, the Mazzetti d’Altavilla distillery was founded in 1846. It’s run by women which is unusual in this trade dominated mostly by men. Grappa is obtained from the distillation of the grape pomaces. Here, they use a fresh product in order to extract only the best spirit. For this reason, the grape pomaces come very quickly from the 120 selected wine-farms to the distillery. The most sought after grapes are Nebbiolo (from Barolo and Barbaresco), Barbera, Muscat, Arneis, Ruchè, Dolcetto and Chardonnay. 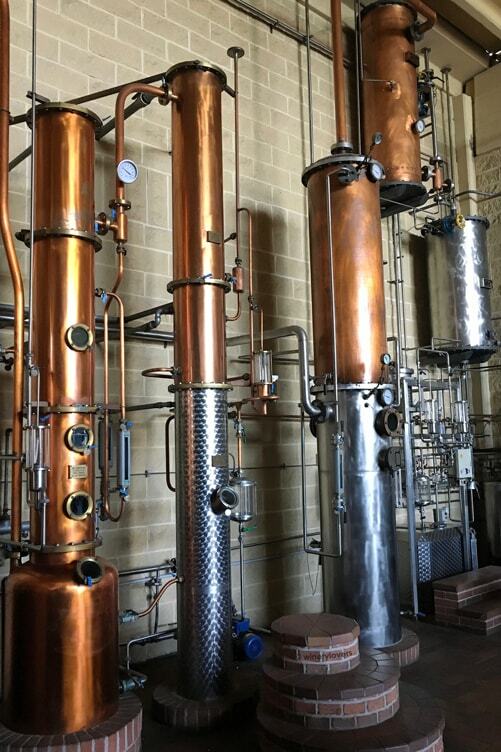 The distillery follows a green approach, with very little environmental impact, using solar power. Our tour in the distillery ended with a great grappa tasting. Well! I hope to have encouraged you to organize a new wine tour. You can find some tips in the article. Then you could easily repeat the press trip that I just described here. If you need other suggestions, don’t hesitate to contact me! I also sometimes organize different wine tours, mainly in Italy. You can watch the last wine tour on my YouTube channel. Let me know if you’re interested in some particular wine regions. I invite you to sign up the newsletter to stay up to date with upcoming events.